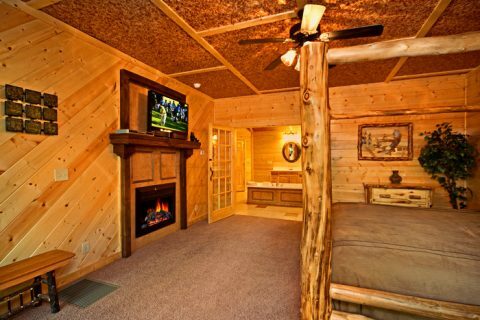 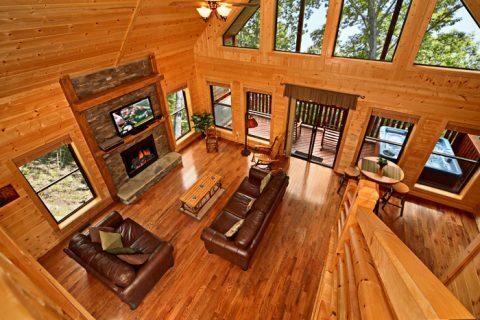 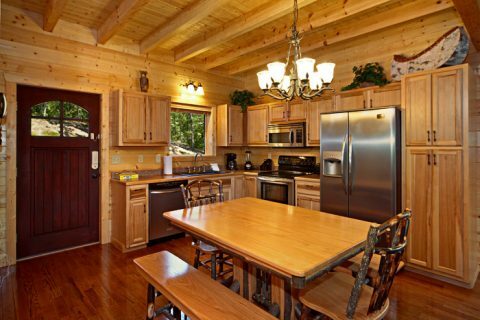 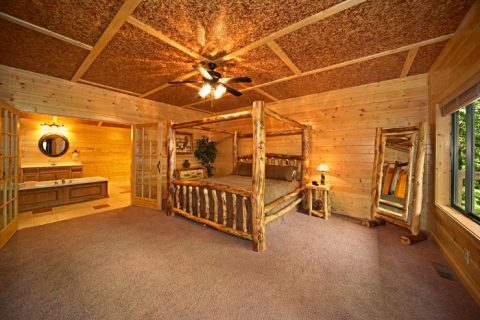 Wears Valley 2 Bedroom Cabin Rental - "A Friendly Forest"
"A Friendly Forest," a lovely Wears Valley 2-bedroom cabin rental with a pool table, a hot tub, Internet access, a jacuzzi tub and more, rests in the spectacular East Tennessee Smoky Mountains. 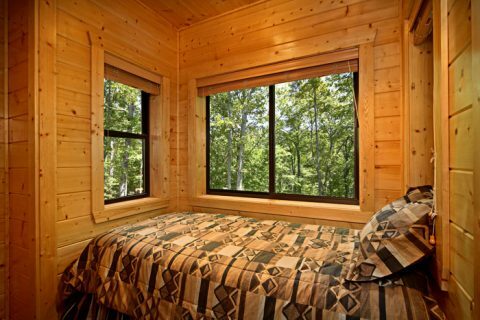 Best of all, this affordable cabin is just what you need to keep your vacation on budget! 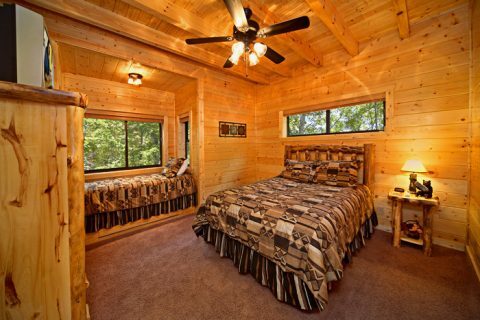 Enjoy an authentic Wears Valley cabin experience with great amenities at a price that's just right. 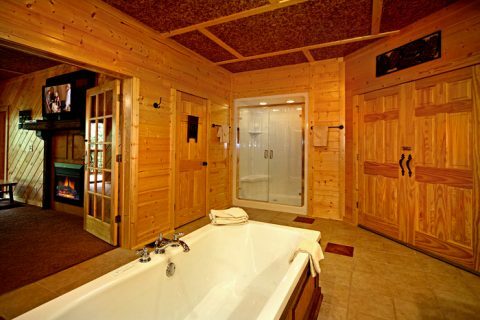 Pamper yourself in a huge master suite with a cozy fireplace, television, and a spacious private bath on the lower level of your cabin. 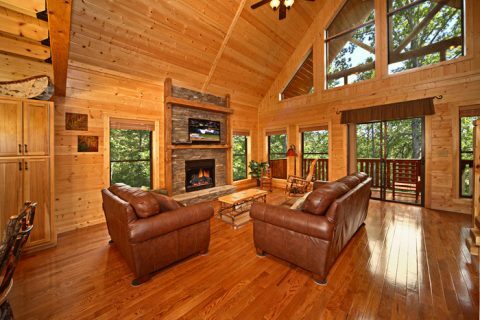 The main floor features a second bedroom with queen-size and twin-size beds, an eat-in kitchen with stainless appliances, and an expansive living room with a stunning, stone gas fireplace. 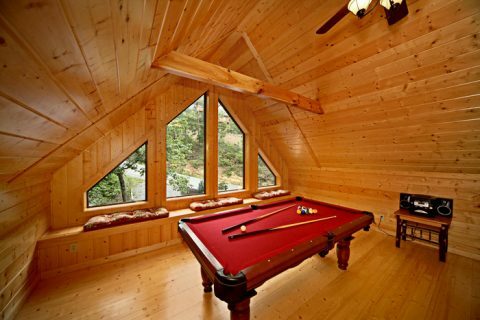 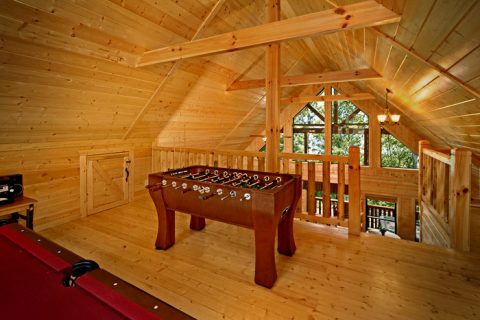 Upstairs, on the third level, the cabin's game room comes complete with a pool table and foosball table for more indoor fun. 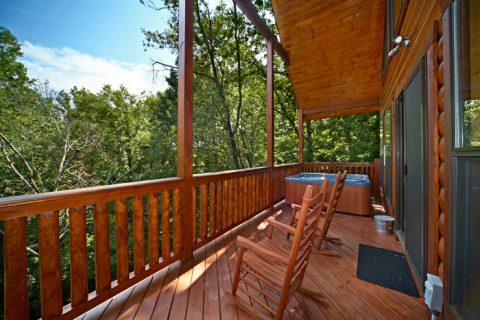 Step outdoors to your cabin's covered deck and find a rocking chair to relax and watch the sun set on the Smokies. 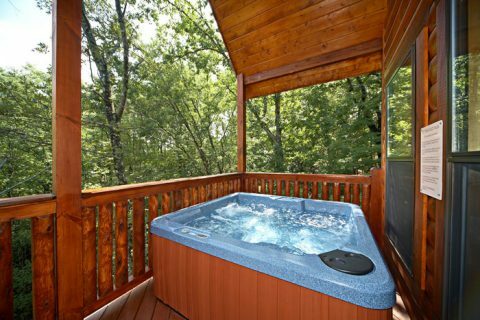 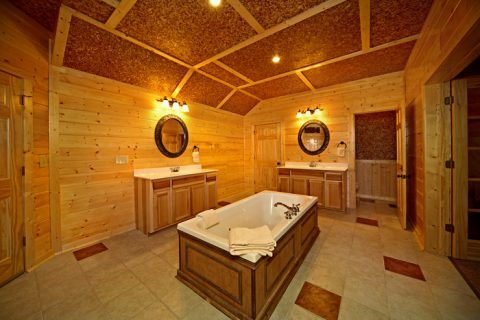 Relax in your cabin's hot tub and let its warm waters to forget your cares. 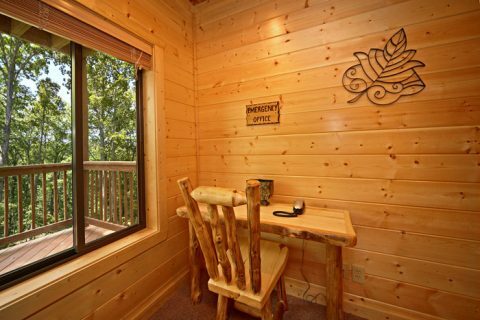 While there's plenty to love about your cabin, dozens of attractions, ample shopping, your choice of restaurants can be found in nearby Pigeon Forge. 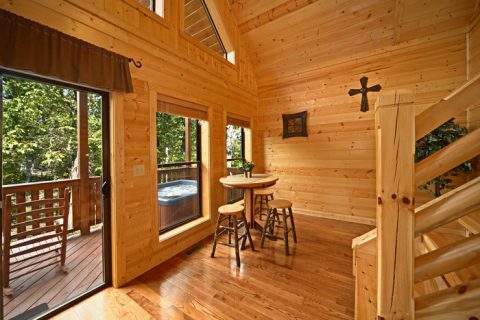 Guests will also enjoy quick, easy access to the sleepy side of the Smoky Mountains in nearby Townsend, which features plenty of unique shops, as well as Cades Coves, which showcases the region's natural beauty and contains several historic landmarks. 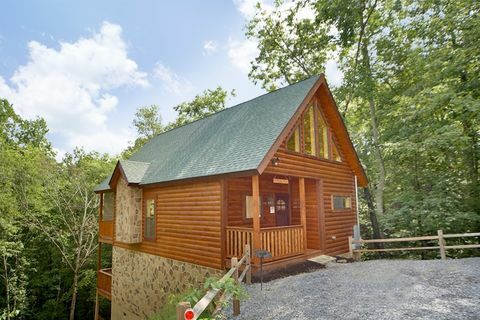 Book your Wears Valley 2-bedroom cabin rental online at Cabins USA for an immediate 15% discount and get ready for one of the most memorable family vacations in the Smokies you'll ever experience!